Wooden boats are in constant flux. Their boards shrink and expand. Which poses a particular challenge when trying to fill the seams that open up between planks on the hull. I only realised this when I saw the boat next to Drumler in the boatyard, Tarka. I’m not sure what type of boat she is but, like Drumler, she was built in Hong Kong from teak at about the same time. Here she is. When I first saw her, she had raised welts down the seams of her hull and topsides, where the wood filler had been squeezed out from between the planks, pushing her beautiful new paint job up into raised, uneven fault lines. Steve told me that the answer is to use an ultra-hard filler, made from a Lead compound. 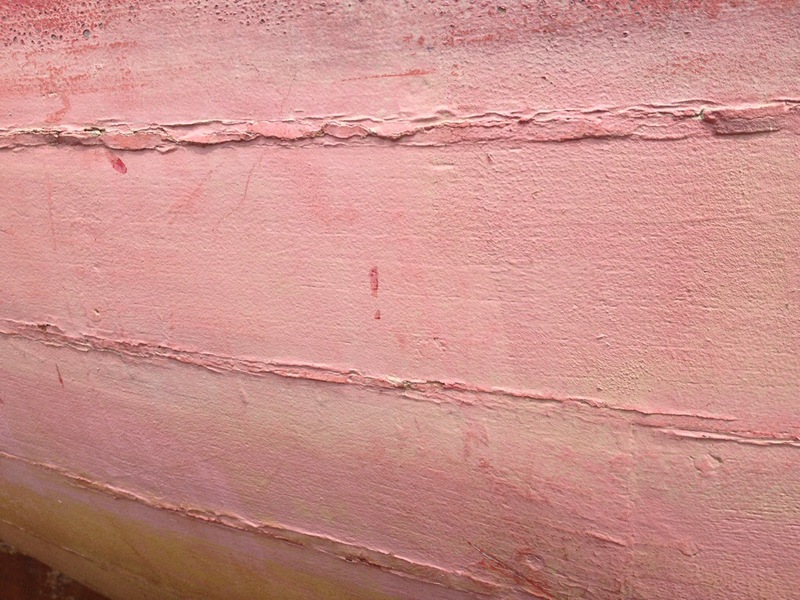 You use White Lead for the topsides, above the waterline, and Red Lead below the waterline. Being Lead, it’s a pretty specialist product, but Steve recommend his supplier, which is a small company in Beccles called Traditional Boat Supplies. One call later, and a Litre of White Lead Paste arrived within 24 hours, ready for filling. Anyway, I duly filled any cracks in the topsides with the paste (which works pretty much like window putty). Left it for 2 days to dry, sanded it down and ready for painting.